This morning our very own Edgar/Crazyjing won gold medal in the Norwegian finals in the heavyweight class in the lettkontakt (‘light contact’ – ie pulling kicks and punches, all about landing them to score points rather than doing damage…) division, taking the gold medal. 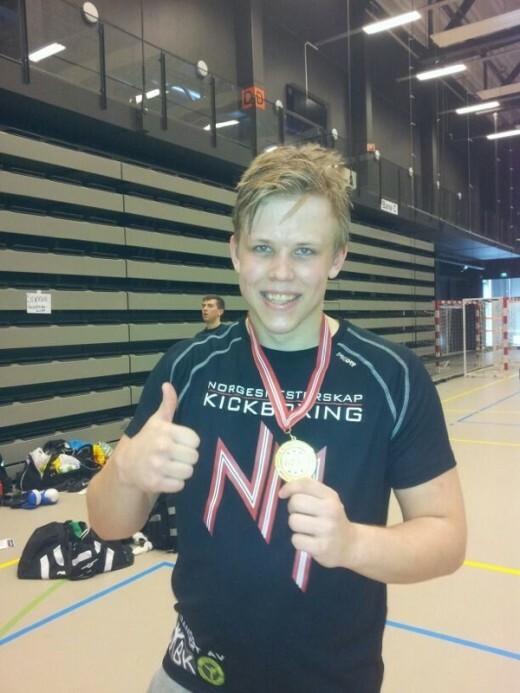 He also separately won the league points table overall as well (which adds up all points awarded across the period from the different fight meets), making him Norwegian Champion. These are two big victories which Edgar has been training incredibly hard for, and at 20, he was fighting guys with 6+ years of experience on him, so this is a really big win for him. Now time to turn this into ingame prowess in Darkfall! Congrats and no, it wasn’t me, I swear…. what are you doing? Noooooo! Awesome. Jean Claude Van Edgar! That’s terrific, well done Edgar!!! oh yeaa! well done ! !